LiquidSky — a first-of-its-kind cloud-based platform that delivers a high-quality gaming experience almost anywhere, anytime on Windows, Android, Mac and Linux devices — is thrilled to announce LiquidSky 2.0. This major platform update adds numerous new features, dramatic gains to LiquidSky’s already outstanding performance and introduces an all-new ad-supported free model. Gamer (60 SkyCredits/hour) and Pro (120 SkyCredits/hour) Performance Plans quadruple their previous horsepower— now powered by up to 4GB of GPU VRAM, 16GB of RAM and 6 vCPU Cores — to deliver high-quality 1080p gaming at up to 60+ FPS. In addition to enhanced Pay-As-You-Go and Monthly Subscription Plans that provide more SkyCredits for lower cost, LiquidSky 2.0 also introduces free high-performance PC gaming through its new ad-supported model. The LiquidSky 2.0 client is available for download at LiquidSky.com, after which users can register for a new account or migrate their existing one. Existing members will be guided through a brief one-time account migration process. Paid members that migrate to one of the new paid plans will additionally receive a one-time boost of available SkyCredits. Registrants for the Free Plan will be assigned a boarding group for access in stages based on beta server and early ad inventory availability. 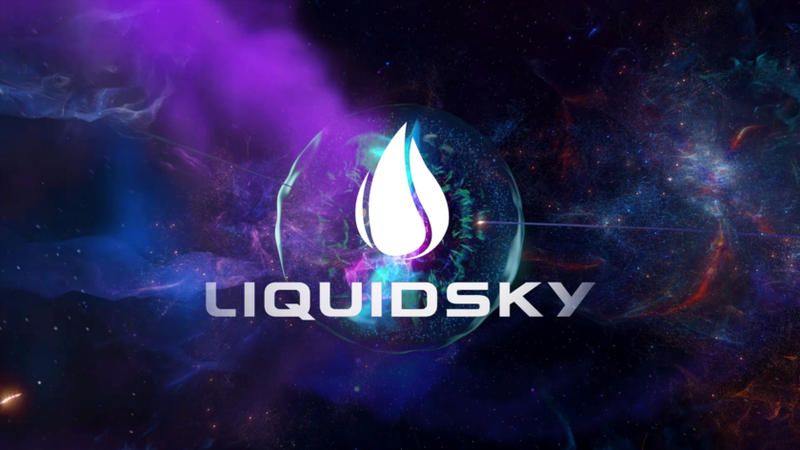 This approach ensures a higher quality of service for the users that already have access and provides an optimal gaming experience as LiquidSky scales up their servers and ad inventory globally. The Free Plan and boarding groups are currently only available for parts of North America and Western Europe, with the ability to earn free SkyCredits not guaranteed at this time. Pay-As-You-Go or Monthly paid LiquidSky users will be granted immediate access to their new upgraded SkyComputer regardless of geographic location. However, for an optimal current experience it is recommended that users be within 310 miles (500 kilometers) of a LiquidSky data center and/or receive a ping of less than 35ms. For more information on how to sign up, migrate accounts or test your ping in relation to the nearest LiquidSky data center, please visit http://kb.liquidsky.com. Epic Games has released the first major update to Unreal Engine 4 since its public launch as a $19 per month subscription-based service at the 2014 Game Developers Conference (GDC). With the release of Unreal Engine 4.1, all subscribers who are registered Xbox or PlayStation developers, including members of the ID@Xbox independent developer program, can receive access to the engine’s complete source code for their respective console platforms, at no extra cost. For the past two years, some of the world’s leading console developers have been using UE4 to build their next-generation games, so the widespread console availability of this engine is highly notable for the indie developer community. The 4.1 update also includes SteamOS and Linux support, refined iOS and Android workflow, new game templates both for C++ programmers and designers using Blueprint visual scripting, and more than 100 improvements based on community feedback. In addition, Epic’s Elemental demo is now available for free for subscribers to download from the engine’s Marketplace so that developers can learn from its construction and use its assets in their own projects. As a demonstration of UE4’s high-end console support, the engine includes “Shooter Game,” a sample project created by Epic and released for free on Marketplace. The sample is now undergoing certification on PlayStation 4 and Xbox One. Driven by feedback from the community and informed by Epic’s experience building games such as “Fortnite,” Unreal Engine 4 is evolving at an incredible pace. Its first month has seen thousands of development forks created on GitHub to improve and extend the engine in an open, collaborative manner. Starting now, developers on GitHub can see Epic’s internal development process in real-time, with live-streaming source code updates. 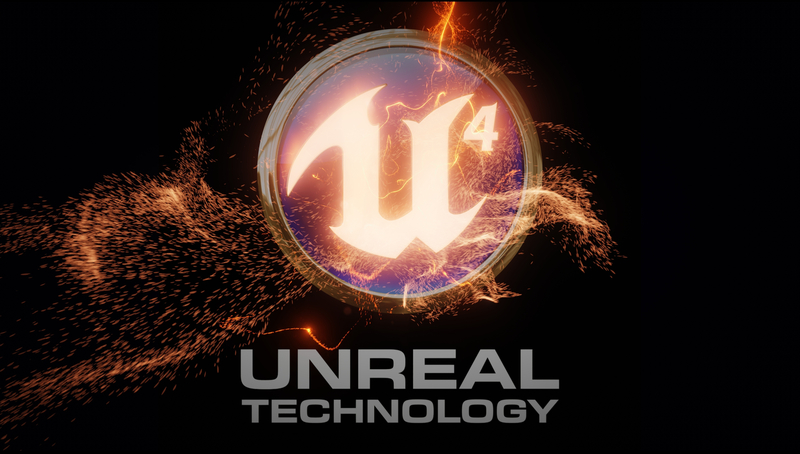 To learn more about UE4 or to download the tools, visit www.unrealengine.com. Valve has confirmed the specifications of its Steam Machine prototype boxes, which will be sent out later this year. 300 of the devices will be sent to testers in a closed hardware beta, and will include the also-announced Steam Controller. “The prototype machine is a high-end, high-performance box, built out of off-the-shelf PC parts,” said Valve in a statement. All of the “high-end, high-performance” boxes will run Valve’s Linux-based SteamOS operating system, but the cases will be made by a variety of manufacturers. “This design is not meant to serve the needs of all of the tens of millions of Steam users,” added Valve on the details. Valve has made the first of three big announcements this week, the first being a free to download Steam Operating System. This is Valves next big step in bringing their services to the comfort of your front room on a nice big screen. SteamOS combines the rock-solid architecture of Linux with the gaming experience you’ve come to love and expect from Valve. The idea behind SteamOS is you don’t have to give up your favorite games, your online friends, and all the Steam features you love just to play on the big screen. SteamOS, running on any living room machine, will provide access to the best games and user-generated content available. At the core of the SteamOS is everything you already love about Steam. Valve have also achieved significant performance increases in graphics processing and are now targeting audio performance and reductions in input latency at the operating system level. Game developers are already taking advantage of these gains as they target SteamOS for their new releases which should see quality of gaming increase even further. SteamOS will be available soon as a free download for users and as a freely licensable operating system for manufacturers. Valve’s second announcement is tomorrow at 10am PST. It’s the end of the week which means it’s time for the industry news round up! 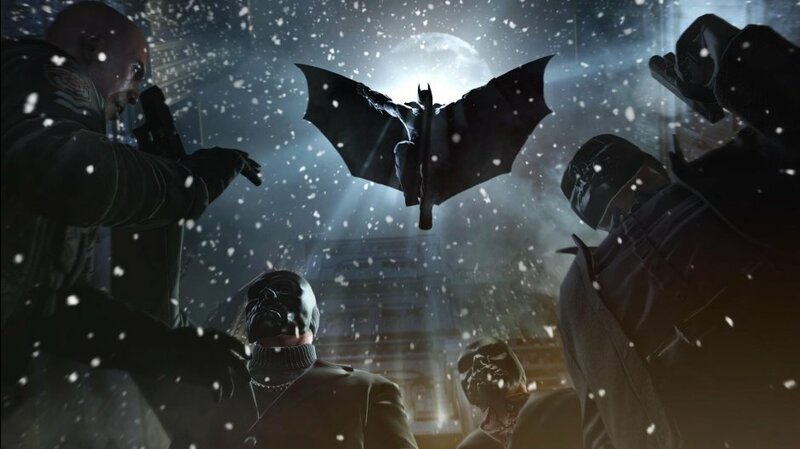 It’s time to step back into the darkness. Amnesia: A Machine for Pigs, the follow-up to the genre-defining horror game, Amnesia: The Dark Descent, is now available for pre-order with a 20-percent discount. From the creators of Amnesia: The Dark Descent and Dear Esther comes a new first-person horror game that will drag you to the depths of greed, power and madness. It will bury its snout into your ribs and it will eat your heart. Amnesia: A Machine for Pigs is survival–horror at its most unsettling; helpless and alone, no weapons to soothe your nerves, and the dim light of your lantern to offer any comfort. After years of Comic Book Movies, Publishers are really making a play for videogames to muscle in. EA have a Need for Speed movie starring Aaron Paul of Breaking Bad, and Ubsioft already have Michael Fassbender attached to Assassin’s Creed and Splinter Cell with Tom Hardy. Now they’re taking upcoming Watch_Dogs onto the big screen too, forming a partnership with Sony Pictures and New Regency. Video Games have a very hit and miss track record with going to movies and some are only good because they are so bad. With all these games going to Hollywood though, it shows games are being accepted more and more. After some research Train2Game has found that Valve Software are working on their own proprietary hardware, optimised for gaming. The recently released Steam Big Picture mode was a first step in this process. The next step is incorporating Linux and making all of that work towards developing a PC package of their own. That means a ready-made PC that comes with Steam and can be hooked up to your television set. Gabe Newell has shed some more light on his company’s plans. Newell said “I think in general that most customers and most developers are going to find that the PC is a better environment for them because they won’t have to split the world into thinking about ‘why are my friends in the living room, why are my video sources in the living room different from everyone else?’ So in a sense we hopefully are going to unify those environments. “Certainly our hardware will be a very controlled environment. If you want more flexibility, you can always buy a more general purpose PC. For people who want a more turnkey solution, that’s what some people are really going to want for their living rooms. This last sentence indicates that Mr Newell believes this may be the next big move in the games industry. A move like this could truly revitalise living room gaming.